Seeing marine life in its natural environment is one of things that attracts people to scuba diving. Unfortunately, some divers seem to have forgotten the section of their PADI Open Water class where the instructor taught them not to touch or hassle marine life. As a gentle reminder, here are some of the consequences of not being kind to underwater creatures. Curiosity killed the coral. Coral is beautiful, but resist the urge to touch it. 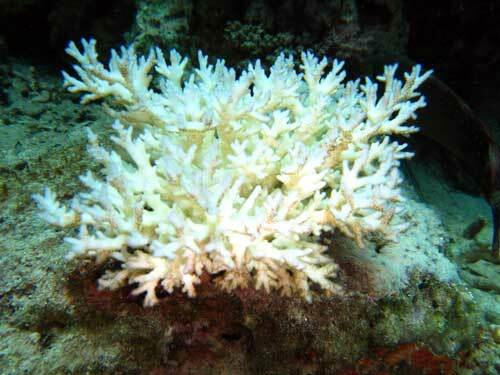 When you touch coral it will be harmful to it and can even kill it. A human touch is like a poison and its results may not show until months later. Watch where you swim! Your fins can create a small wave that will disrupt the layers of sediment below. This reduces coral’s photosynthetic abilities and washes away small animals, which increases their chances of predation. Breaking off just a small piece of coral can do damage that will not repair itself within your lifetime. Remember to secure all of your dive equipment. If something touches a fish it can remove their protective coatings, leaving them vulnerable to diseases. Your local PADI Dive Center sells a plethora of clips and bands that can help streamline your dive gear. 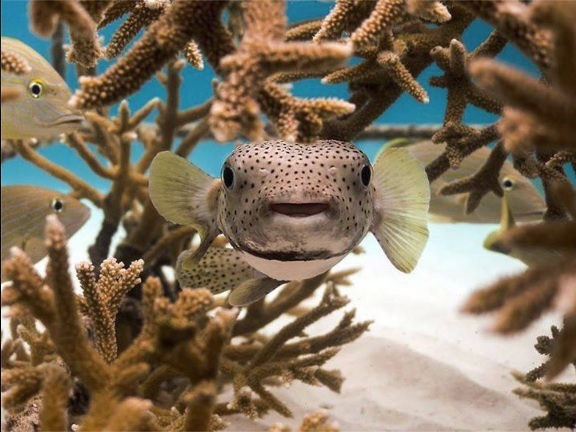 Puffer fish are particularly susceptible to harm by humans. Some divers choose to agitate the fish in order to make it puff up. To create this effect, the fish fill themselves up with water or air and “puff-up” their prickly bodies. Sadly, they only have a small number of puffs in their life because it’s hard on their internal systems to inflate regularly. Repeated puffs can significantly shorten the poor fish’s life. Don’t feed the fish. Many fish are unable to digest human food, which causes them internal damage that can end their life. Remember, no one likes food poisoning. Sometimes marine life encounters happen unexpectedly. To be prepared for these occurrences, take DAN’s Hazardous Marine Life course, which counts towards the prestigious Master Scuba Diver rating. If you want to do more to help protect marine life, donate to Project Aware!